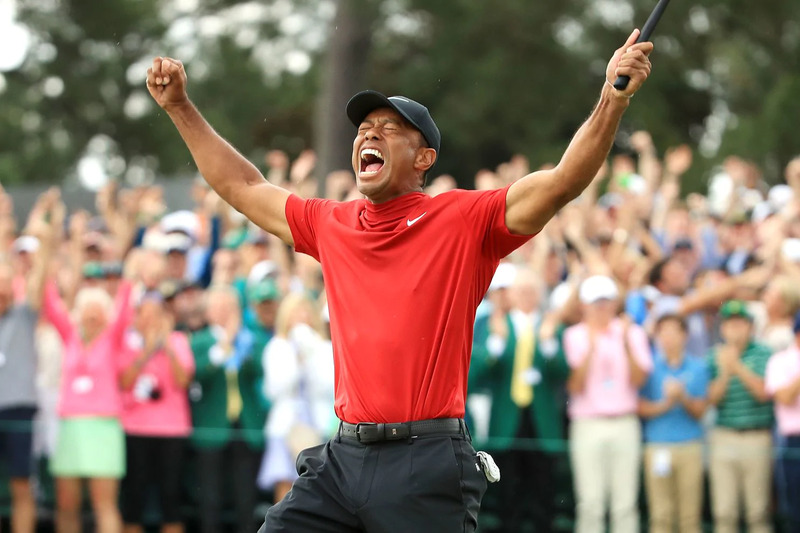 Tiger Woods completed one of sport’s greatest comebacks at the Masters on Sunday by claiming a fifth Green Jacket to end an 11-year major title drought. The improbable win followed years of struggle for Woods with repeated surgery and personal problems. When his tap-in bogey settled in the cup for a one-shot win, Woods threw up his arms in triumph, igniting chants of “Tiger Tiger”. He is only the second player to win a Masters in three different decades.